Have a brand that can use some creative design? Please let us know what you need and we’ll talk about how we can help. Sign me up for the newsletter and send me the article! 2 Locations in San Diego, CA. Send us a note about your project and we’ll quickly setup a call time to talk about how we can help you. We can usually quote you pricing and turn-around time on the first call. Sign-Up For Our Free Branding Newsletter and Receive the FREE article: 7 Secrets to Powerful Packaging Design. (18-page exclusive report). The Free Deal Design Branding Newsletter covers industry trends, tips, tricks and offers innovative branding and packaging strategies. We don’t sell your information. Filled with industry secrets and full color examples of these secrets at work. 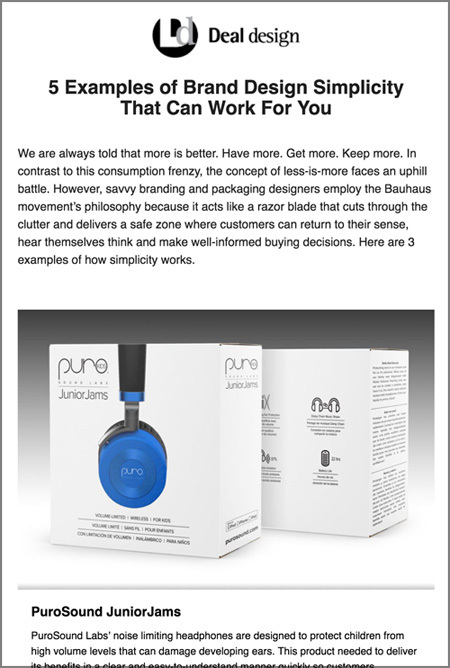 Sign up for our Free Branding Newsletter and instantly E-mail you this 18-page article.